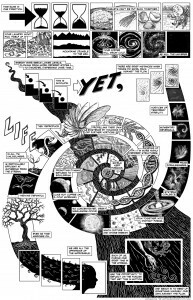 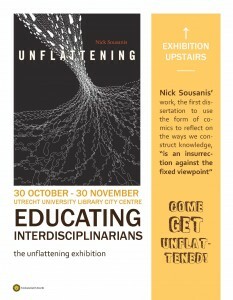 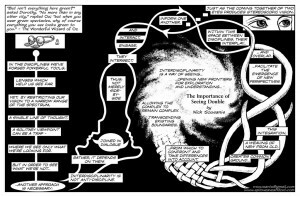 Some news: If you happen to be in The Netherlands, Utrecht University is hosting an exhibition of images from Unflattening as part of the symposium Educating Interdisciplinarians. 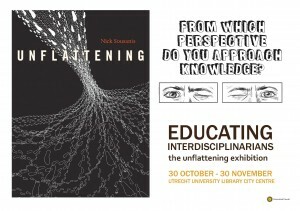 It opens Friday the 30th and will be up through the end of November. 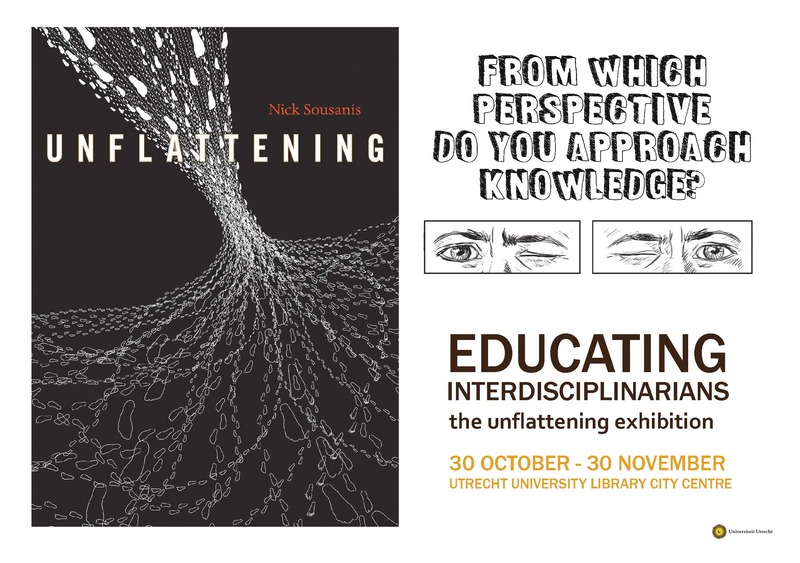 It sounds like a great conversation and given that my work very much grew out of thinking about interdisciplinarity, I’m really pleased to be associated with this gathering. (You can see a few such pages around interdisciplinary concepts here and earlier ones here.) 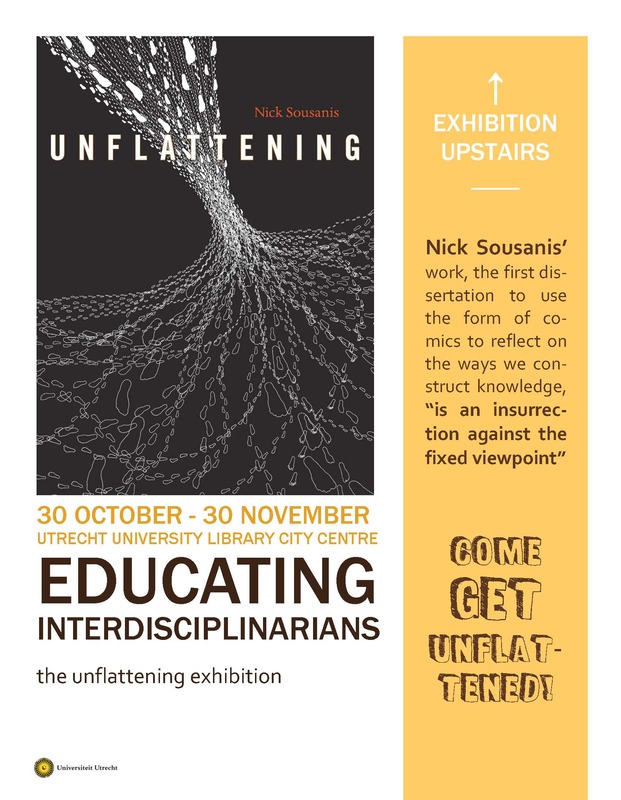 Also, coincidentally – I believe my work is still on display as part of the Graphic Design Festival in Breda: Public Library – which featured a number of comics artists with their books available in public reading spaces. 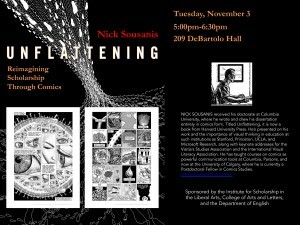 While I’m not going to The Netherlands, I am on the road this week to talk about my work at Notre Dame Tuesday, November 3, courtesy of the Dr. Jesse Costantino and the Department of English. 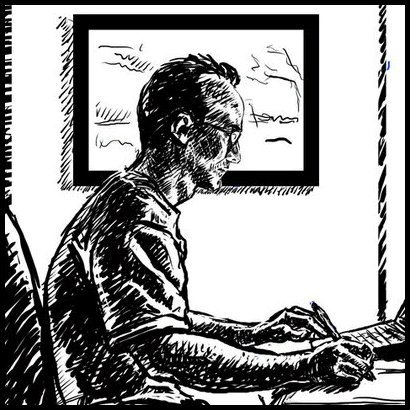 Excited to see what’s going on around comics and new scholarship back in South Bend! 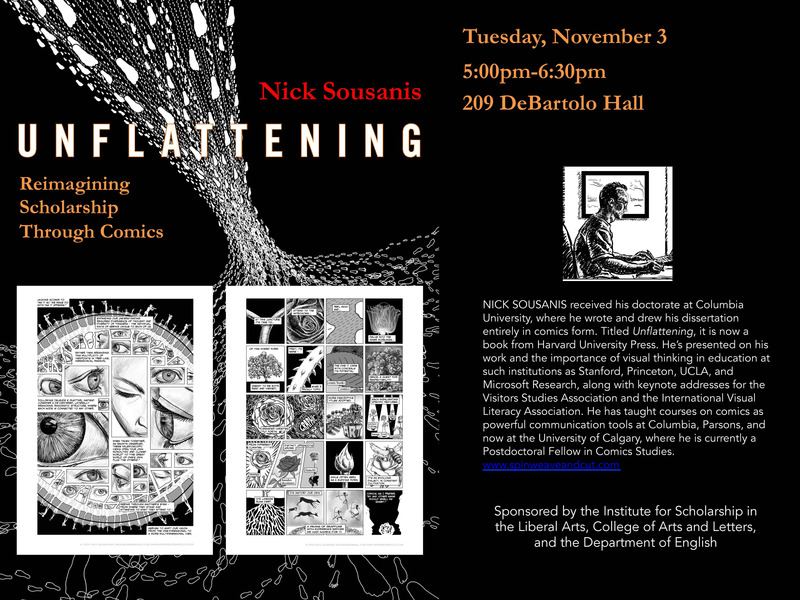 The talk is open to the public (I believe), so if you know folks interested in comics and education in the area – send ’em over!